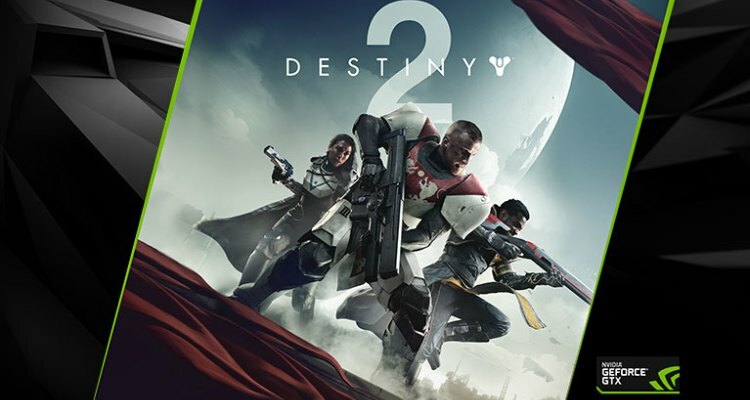 NVIDIA announced a partnership with Activision and Bungie Software for all those who purchase a GeForce GTX 1080 or GTX 1080Ti (or notebooks with such GPUs) will receive the Destiny 2 game and access to its closed beta for free. The promotion will be in force from June 13 to 27 (inclusive). Contrary to the Console versions, whose release date is set for September 29, Destiny 2 will be released for PC on October 24, exclusively through Battle.Net. Yesterday it was confirmed that the closed beta of Destiny 2 will roll out by the end of August. Previously we have published detailed information about the game and graphic options for the PC version. Soon we will have interesting news about this expected title.